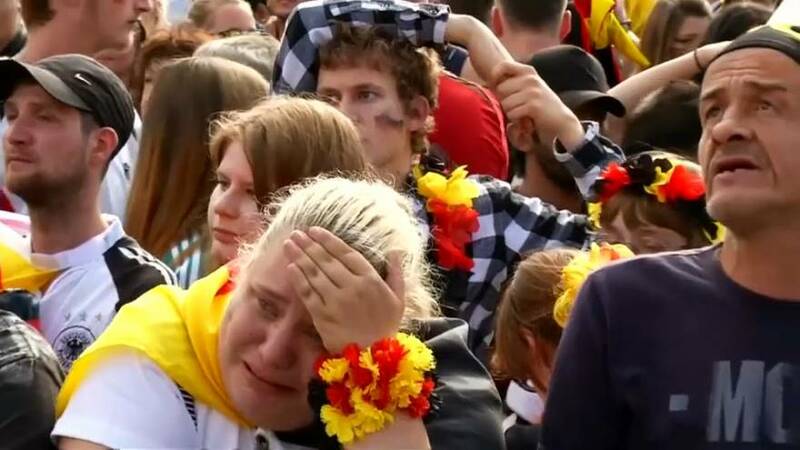 German fan, Blaess says, "It was really bad and they deserved to crash out. The preparation was really bad this time. I hope they will learn the lesson to prepare themselves better next time. Like this they deserve to be out and I say this as a German fan." German fans, Julius and Felix say, "They didn't make use of their chances. I have filmed every chance. I have filmed so many, but nothing came out of it unfortunately." Crying Janin Roethig says, "The team didn't fight, not even after the first goal, a bad match."